Kannur: Tense situation prevailed in and around Thalassery following hurling of bombs on the houses of senior political leaders including MP and former BJP State president V Muraleedharan at Eranholi. The hurling of bombs alleged to be in retaliation to hurling of bomb on the house of CPI(M) State Committee member and Thalassery Constituency Assembly MLA A N Shamseer at Madapeediaka last night. Police said, the BJP leader Muraleedharan ancestral house came under bomb attack by unidentified persons around 0030 hrs on Saturday. The assailants, who reached the spot in a vehicle, hurled bombs on the house. No damage was occurred to any property. The BJP alleged that CPI(M) was behind the bomb attack.Unidentified persons hurled a country made bomb on the house of Mr Shamseer at Madapeedika near Thalassery around 2215 hrs on Friday which led to damage of the fibre water tank and a flower pot, kept in front of the house. The house of CPI(M) former Kannur district secretary P Sasi in Thalassery town also came under bomb attack around 2300 hrs on Friday. Unidentified motor bike borne miscreants hurled bombs which lead to damage one window panes near the front door. The leaders were not present in their houses at the time of attacks and no casualties was reported either. 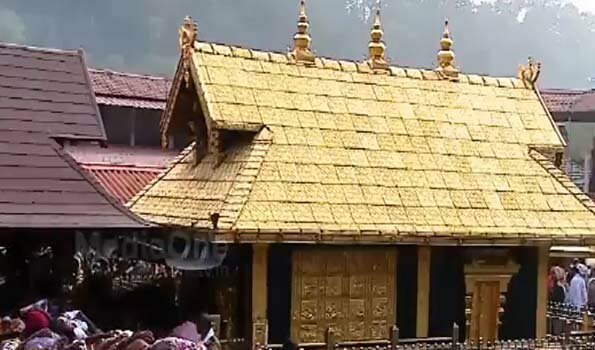 The violence that broke out as part of the hartal by Sabarimala Karma Samithi on Thursday, in protest against the entry of two women, under 50, into Ayyappa temple in Sabarimala, continued in some parts in Kannur till late night on Friday and in the wee hours of Saturday. In other incidents, the RSS karyalayam office) at Cheruthazham near Payyanur was set ablaze by alleged CPI(M) activists in the wee hours on Saturday. Meanwhile, the house of BJP Azhikode Mandalam Secretary Biju was attacked by alleged CPI(M) activists on Saturday morning. Police personnel, led by District Police Superintendent G Siva Vikram and four Deputy Superintendents of Police were camping at Thalassery and the situation, according to.police sources, is under control. Mr Siva Vikram told UNI that additional police force from Waynad and Kozhikode would be deployed in sensitive ares of Thalassery and a route march was held in Thalassery town this morning. One CPI(M) worker V K Vaisakh (28) of Peruvamparambil near Iritty suffered stab injuries on his neck and legs in an alleged attack by BJP workers, when he was on the way to his house. He had been admitted in a private hospital here. The house of RSS Kannur Vibhag Sangh Chalak C Chandrasekharan's at Thiruanghad under came into attack by alleged CPI(M) gang, who barged into the house with weapons around 1900 hrs last night and damaged windows and furniture. Some furniture was thrown into the well in the house. Veteran RSS leader, Chandrasekharan, incharge of Kannur and Kasargod district and his daughter Meena suffered minor injuries in the attack and they had been admitted in a private hospital at Thalassery. The houses of CPI(M) Thalassery area committee member Vazhayil Saseedharan at Thiruvanghad also came under attack alleged by BJP activists on Friday evening and they damaged the door, window and furniture in the house.